Lyle Thomas McCann, 78, and his wife, Marie Ann McCann, 77, left their Alberta home for B.C. driving an RV and towing a light-green SUV. They have not been seen since. Here's a timeline of events in the case of the missing couple. 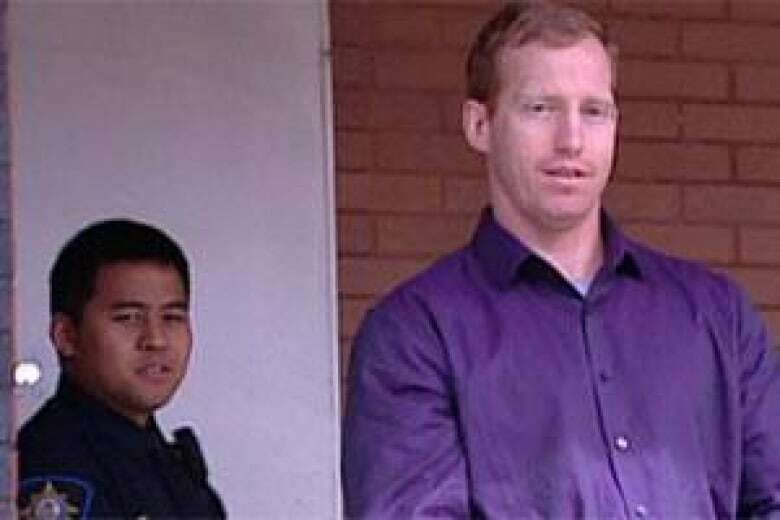 Oct. 8: Travis Vader is found not guilty of all nine theft, drug and firearm charges that kept him behind bars even after the first-degree murder charges were stayed in March. He tells reporters the RCMP "destroyed my life." His lawyer, Nathan Whitling, says of Vader's four-year confinement: "I think it's unfortunate he had to spend so much time in pretrial detention only to be acquitted of everything at the end of the day." March 19: Charges against Vader are stayed by the Crown, which has one year to reactivate them. Feb 13: Vader files a lawsuit against RCMP, accusing them of carrying out a fraudulent scheme to keep him in custody until he could be charged in the McCanns' deaths. In the suit, Vader says police used another man to supply a fraudulent letter of employment to Vader's lawyer, knowing that his lawyer would use that letter in court. After the letter was entered into court, RCMP charged Vader with obstruction of justice and uttering a forged document. The charges were later dropped. The allegations in the lawsuit have not been proven in court. Oct. 19: Vader is convicted of offences that include drug trafficking, theft and weapons charges. But before he is sentenced, it's discovered that some evidence was not properly disclosed to the defence. The judge cites the RCMP as "negligent" and orders a new trial. May 15: Vader appears in court, facing two counts of first-degree murder in the deaths of the elderly couple. He is in jail on unrelated charges and will appear by video link June 5 in Edson provincial court, two hours west of Edmonton. April 23: The RCMP charge Vader with two counts of first-degree murder in the deaths of Lyle and Marie McCann. Feb. 15: Vader, a suspect in the disappearance of the couple, is denied bail on a number of charges that are not connected to the McCann case. Jan. 19: Police say they want to identify the person who modified the tow bar Lyle and Marie McCann used to attach their SUV to their motorhome. They won't say why or how the A-Frame towing assembly is connected to the case. July 30: Family members of the missing couple hold a memorial service. Mourners were handed envelopes with rose petals inside and were asked to deposit them in an urn that is being buried in a cemetery plot reserved for the couple. July 27: A court order declaring the Alberta couple dead is granted so the family can begin processing wills and dealing with the estate. A letter from the RCMP said it is believe the couple was killed on July 3, the day they were seen gasing up their motorhome in their home town of St. Albert, just north of Edmonton, before a trip to British Columbia. July 3: On the one-year anniversary of the date Lyle and Marie McCann were last seen, the RCMP say they have found no signs of the missing couple. June 27: RCMP officers and a search-and-rescue team sweep an area near Lodgepole, southwest of Edmonton, looking for evidence in the couple's disappearance. They don't say what led them to the area. Oct. 19: The McCann family begins posting pictures of the missing couple on billboards along Highway 16, west of Edmonton. A $60,000 Crimestoppers reward is offered for information on the case. Sept. 25: Family and friends launch their own search for an Alberta couple. Sept. 13-14: Police search a property near Nojack, Alta., as part of the investigation into the disappearance of Lyle and Marie McCann. Divers searched a pond on the property and police also used a backhoe to comb through a pile of debris in a scrapyard. They also searched the septic tanks on the property. Police would not say what led them to search the area. Sept. 10: RCMP confirm they are searching a piece of private property south of Nojack, Alta., in their investigation. 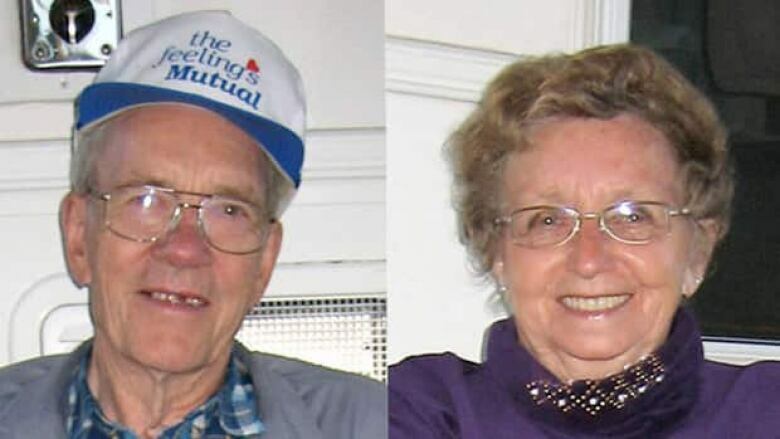 Meanwhile, a fundraising campaign boosts the reward for a tip that solves the disappearance of the missing Alberta couple to $60,000. Aug. 31: The RCMP say Vader is officially considered a suspect in the case, but no charges have been laid. Aug. 16: The family of Lyle and Marie McCann holds a news conference to announce they are raising money for a reward for information in the case. Aug. 10: Vader's new lawyer represents him in court. Vader remains in custody and faces a number of charges, including some related to theft, firearms and arson. July 27: Vader's sister, Bobbi-Jo Vader, tells reporters that Vader was "tired" and "sick" when he appeared at her family's home on July 4, a day after the McCanns were last seen. However, she says she does not think her brother was involved in the couple's disappearance. July 24: A vigil for the McCanns is held in St. Albert, Alta. Family members, friends and neighbours remain hopeful the couple will come home alive. Meanwhile, RCMP suspend the ground search so investigators can focus on pursuing tips from the public. July 21: Searchers comb through a wooded area that was originally searched on July 17. The RCMP also spend the day searching the home where Vader was apprehended. July 20: Vader does not appear at an Edson, Alta., court hearing regarding the outstanding warrants, but remains in custody. The court grants the request of Vader's lawyer, Brad Thomlinson, to officially withdraw from all matters relating to Vader. Thomlinson tells the court he had not been able to reach his client since Vader missed a trial date in June. The second man arrested the previous day is released without any charges. July 19: Vader is arrested at a home near Niton Junction, Alta., on outstanding warrants not tied to the McCanns' case. A second man, whose name police did not release, is also arrested at the scene. Both men are questioned about the couple's disappearance. July 18: RCMP follow up on an estimated 150 tips, most of which come from people who say they have seen Vader. Meanwhile, search efforts continue for the couple. July 17: An RCMP forensics team comb the area where the McCanns' SUV was found. 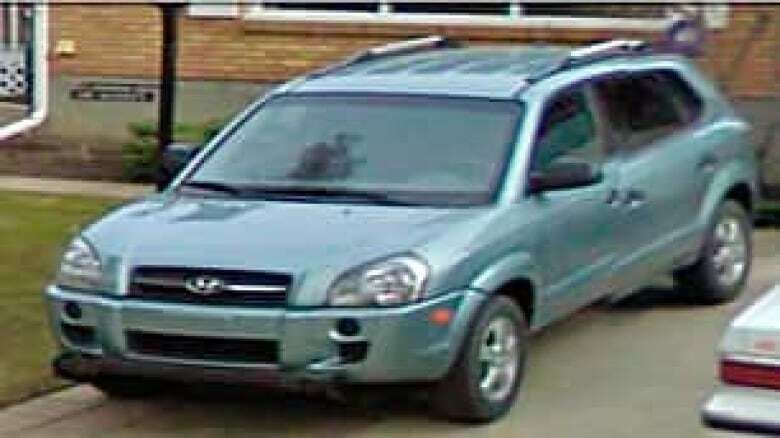 July 16: RCMP in Alberta find the SUV and say they are looking for a specific "person of interest." 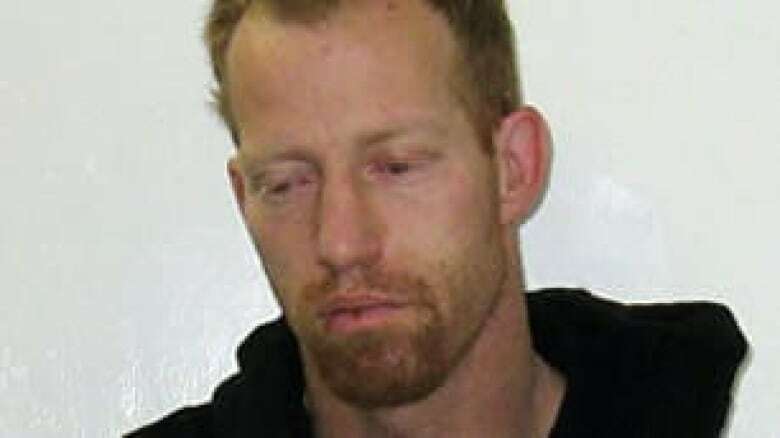 Police seek public help in finding Travis Edward Vader, 38, of no fixed address. July 15: RCMP report multiple credible sightings of the green SUV in the Prince George area but back away from saying the vehicle was there, since it wasn't stopped or seen by police. July 14: The Mounties put out a media release asking the Bjorklunds to return to the detachment for a followup interview. July 13: Diana Bjorklund and her father, Evert, go to the RCMP detachment in Prince George, B.C., to report having seen a vehicle on July 8 that matched the description of the McCann SUV. Bjorklund later tells CBC Radio that the RCMP weren't interested when they reported the information. July 12: RCMP confirm the July 5 discovery of the McCanns' motorhome at Minnow Lake. Police return to the site to search for evidence. July 10: The McCanns are scheduled to meet their daughter, Trudy Holder, at the Abbotsford, B.C., airport, but never show up. Holder calls the RCMP. The Mounties begin an investigation into the couple's disappearance. They search 259 square kilometres from the air, interview witnesses and review the couple's cellphone records and bank accounts. July 5: Around 7 p.m., firefighters respond to a call about a motorhome fire at the Minnow Lake campground near Edson, Alta. No bodies are found inside, but police discover the registration linking the RV to the McCanns. The SUV is not at the scene. Mounties phone the McCann home and officers later knock on the door but find nobody at the house. July 3: Lyle Thomas McCann, 78, and his wife, Marie Ann McCann, 77, leave St. Albert, Alta., headed for B.C. They are driving a green and white Gulf Stream Sun Voyager recreational vehicle and towing a light green Hyundai Tucson SUV. Lyle is filmed on surveillance video filling the RV's tank at a St. Albert gas bar around 9:30 a.m.